This is day 17 of Soulful Simplicity, a 31-day series through the month of October. The first two weeks can be found here. I hope you are enriched by this series. If you have any questions or would otherwise like to connect, feel free to send me a note: lightandloveliness [at] gmail [dot] com. I am thinking of a friend who—every time I see her—leans in for conversation, listens to what I have to say, and engages in a more intentional and interested way than most people do. Whenever I spend time with her, I go away feeling deeply loved by the attentiveness she gives to me whether we have five minutes or five hours to hang out. This got me thinking about how to love others well, mostly because I see her do it with such grace. There is more than one way to love others, for sure, but the way I want to discuss at the present moment is loving well by listening well. It takes intention to love others well in this way. We can only listen well, or become attentive in relationship, is if we create enough of a margin in our lives to be able to respond when someone reaches out to us and turn our attention to their needs, spoken or unspoken. Taking a phone call at a critical moment, or rearranging our schedules to meet with a friend face to face can sometimes be the difference between the pit of despair and the bedrock of hope. 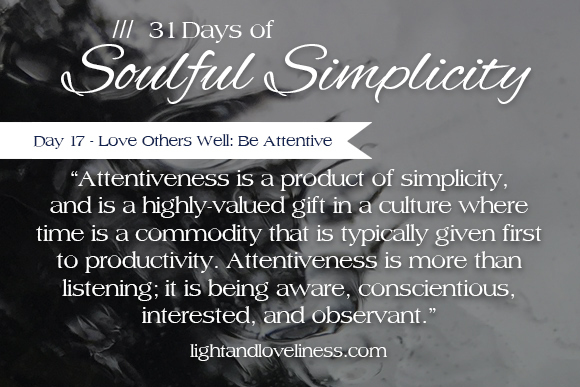 Attentiveness is a product of simplicity, and is a highly-valued gift in a culture where time is a commodity that is typically given first to productivity. Attentiveness is more than listening; it is being aware, conscientious, interested, and observant. It is an investment that turns back an unpredictably high return in almost all cases. It reinforces the building or re-building of trust, and when one party is truly attentive to another, there is weight behind whatever response is given to the sharer, because the attentive party has no agenda other than to comfort, acknowledge, support, and resource the sharing party. In my years-long journey toward inner-healing, I was blessed with quite a few friends who offered me this brand of attentive friendship. Those women have my deep respect, admiration, and gratitude, because the ways they loved me through that season have significantly marked my life for the better. 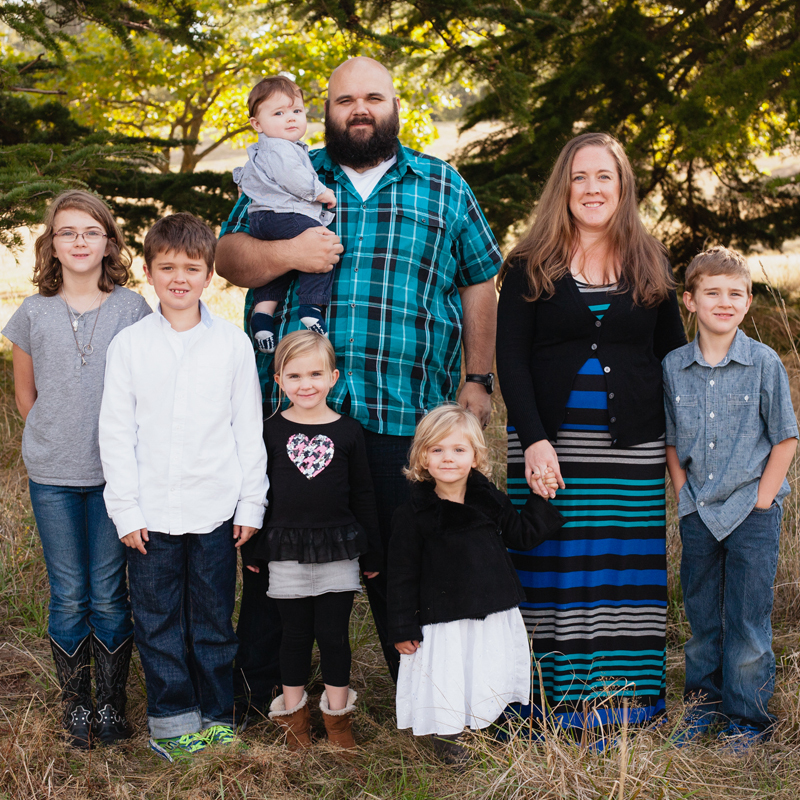 I would say the attentive care of these friends (and also my husband) created the space I needed to sort out my inner turmoil and embrace the good (and sometimes unexpected) things God wanted to do in my life. I guess I just wanted to say: Do not ever underestimate how powerful it is to listen well. When you offer someone your attention, you are in a unique position to also offer them hope, encouragement, and strength through whatever battles they may be going through. This goes for friends. This goes for spouses. This goes for children. Next time you have the opportunity, I encourage you to give this gift generously and see what beautiful things come of it.